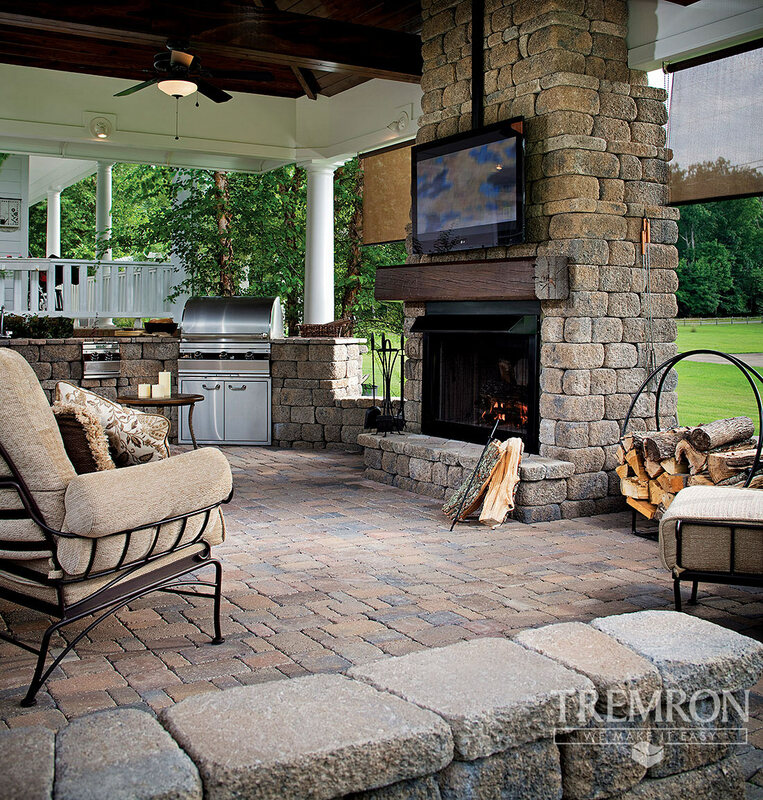 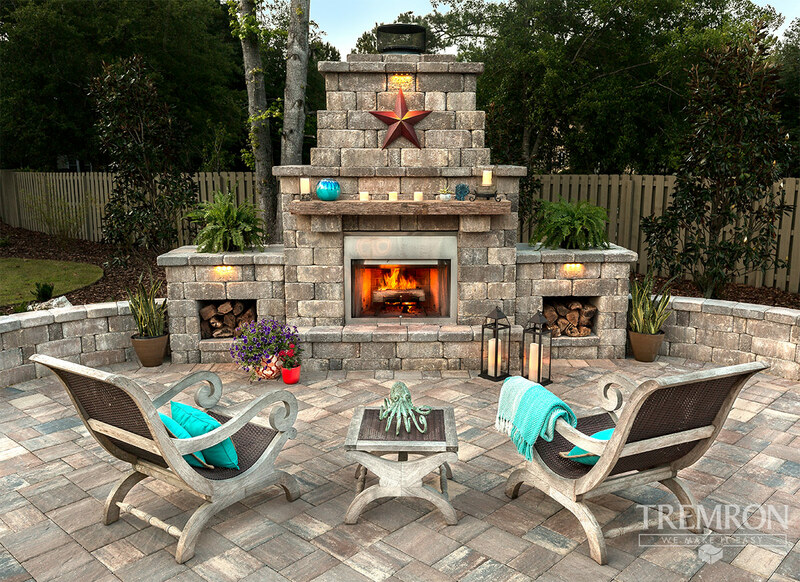 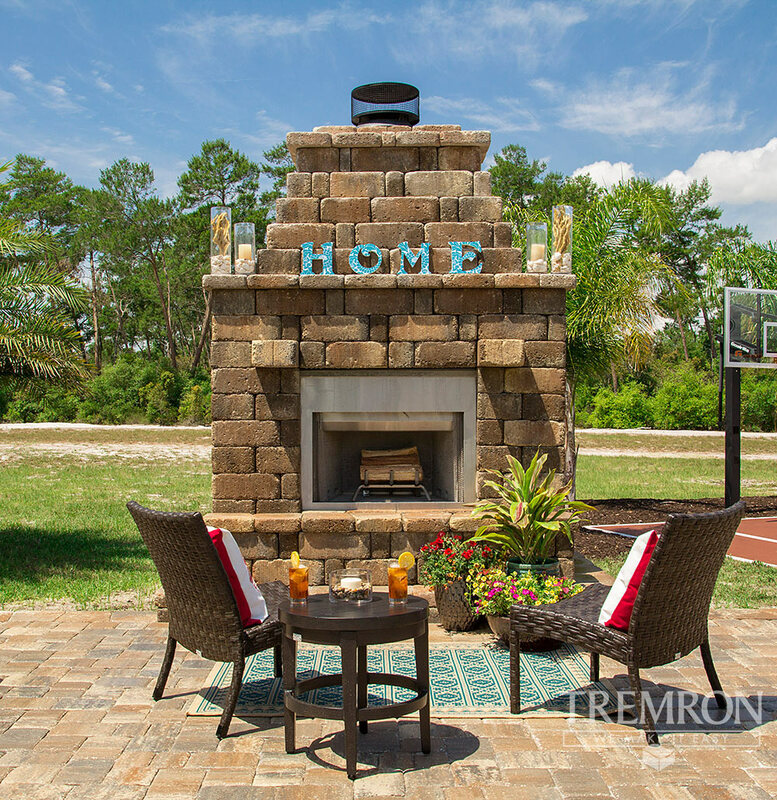 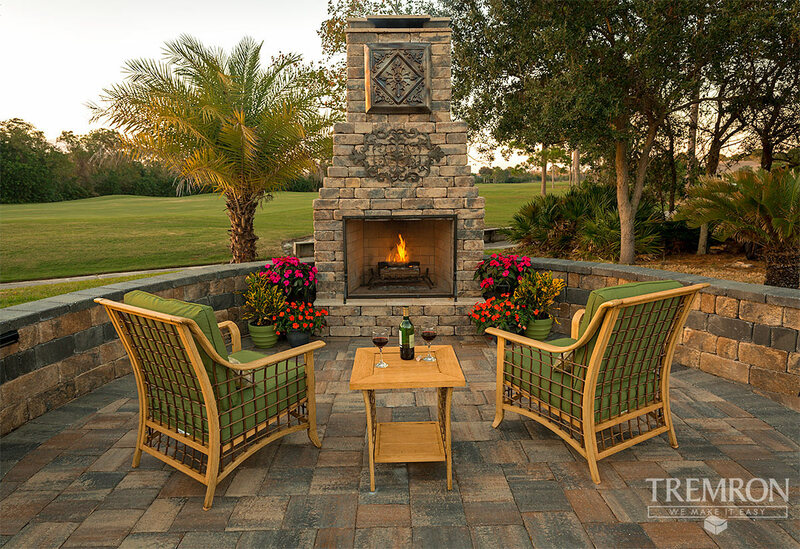 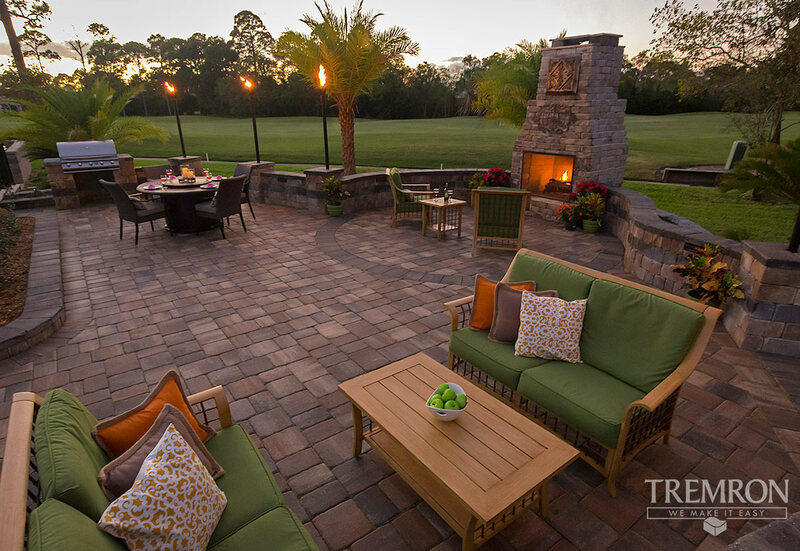 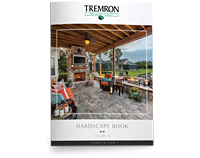 Capture the beauty of European estates while making year round use of the outdoors with a Tremron Fireplace. 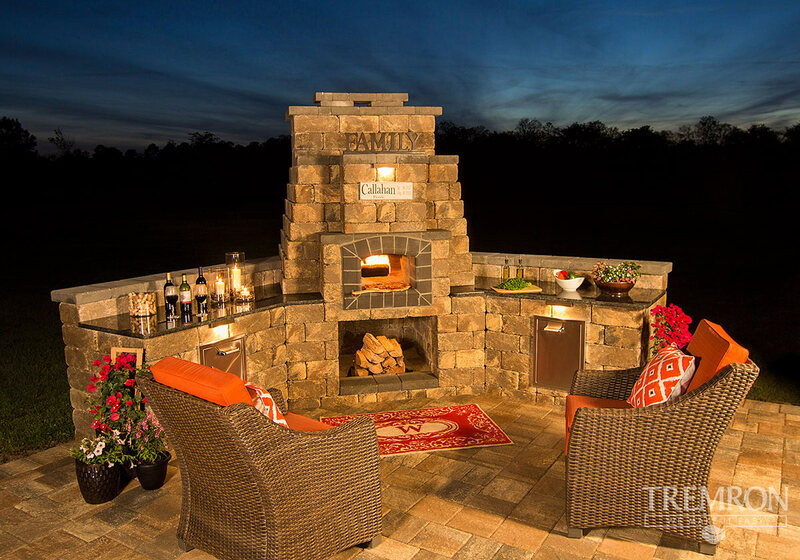 Entertain loved ones even during the chilliest of nights, while keeping cozy with this grand centerpiece, or easily incorporate a pizza oven to embody an old-world essence and flair to your dishes. 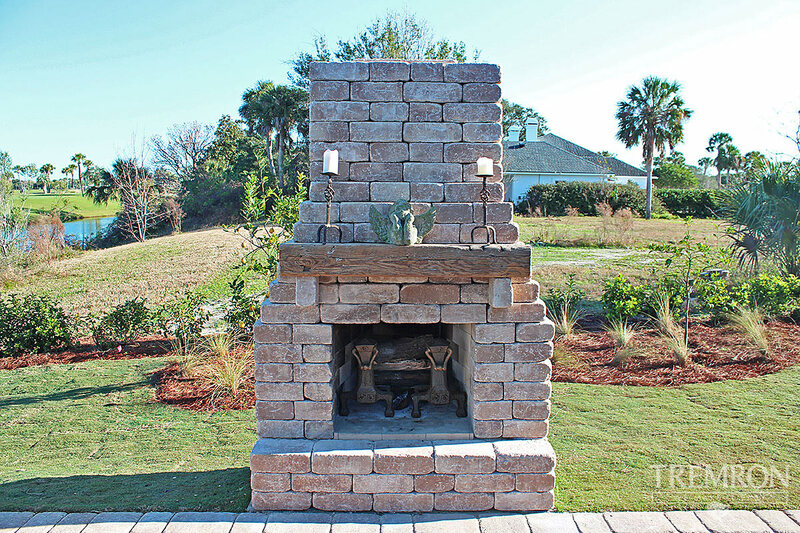 Designed to keep you warm and protect your property from fire-related accidents, our fireplaces also boast excellent weather resistance with a solid structure, allowing it to withstand harsh weather conditions and temperature changes. 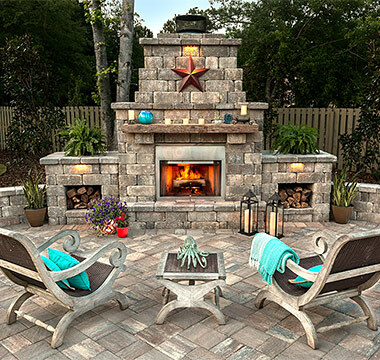 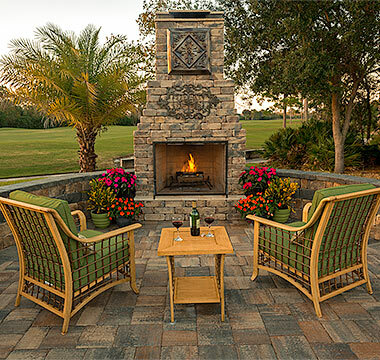 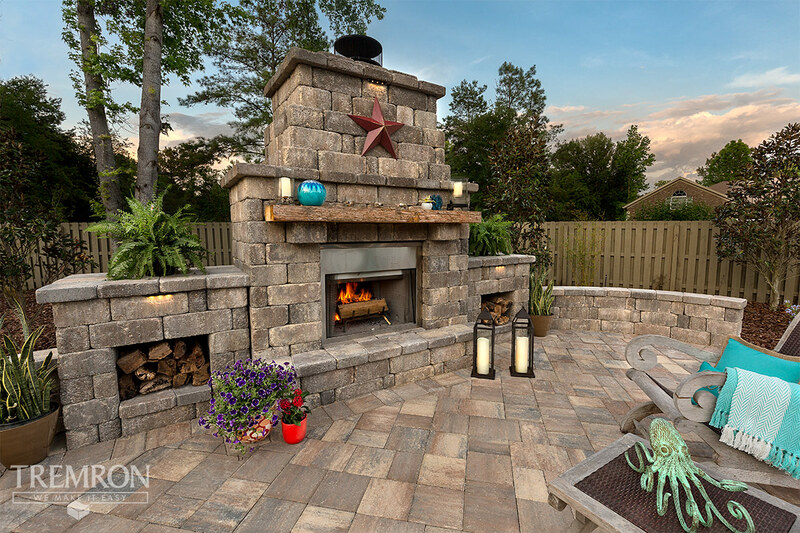 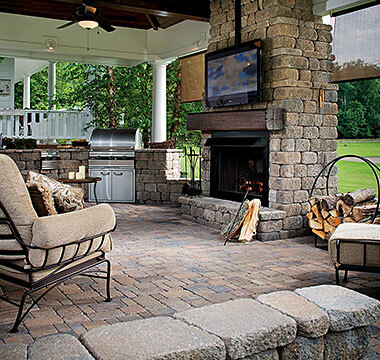 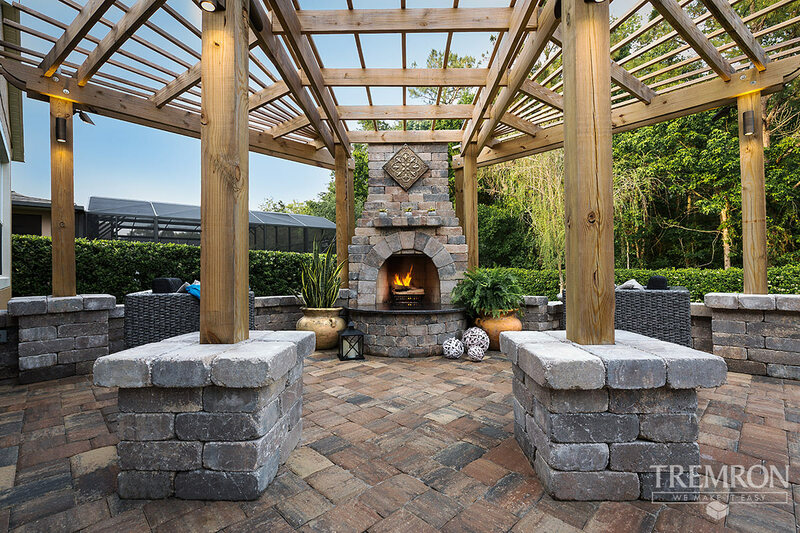 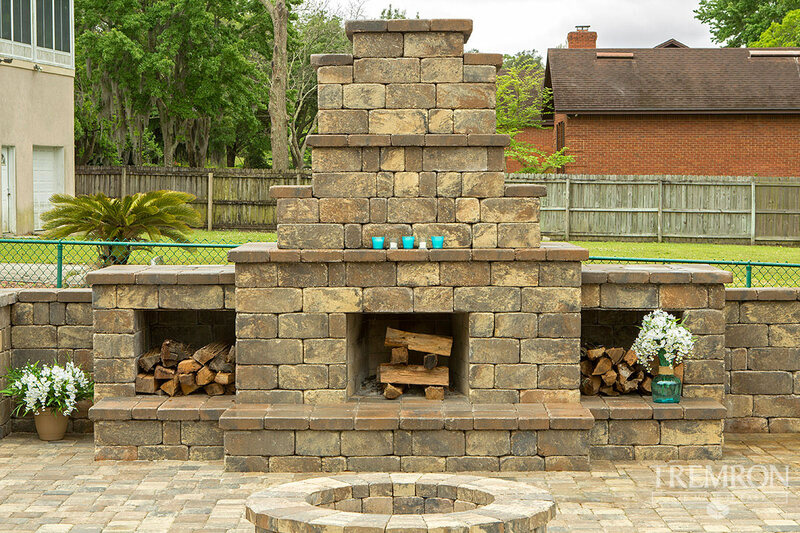 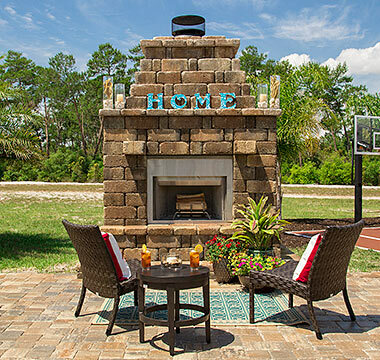 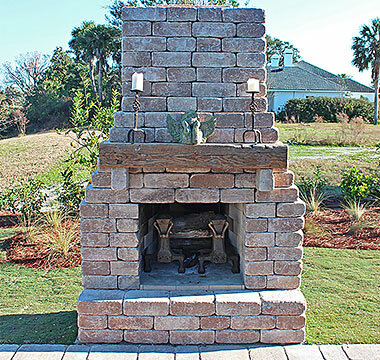 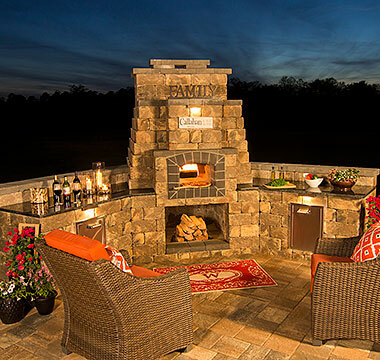 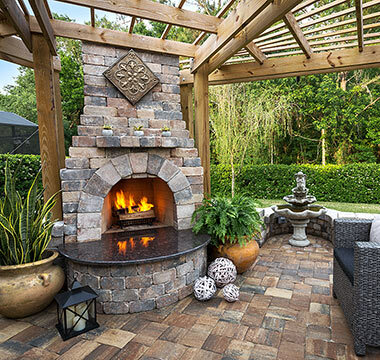 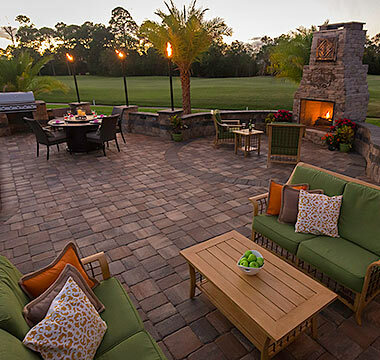 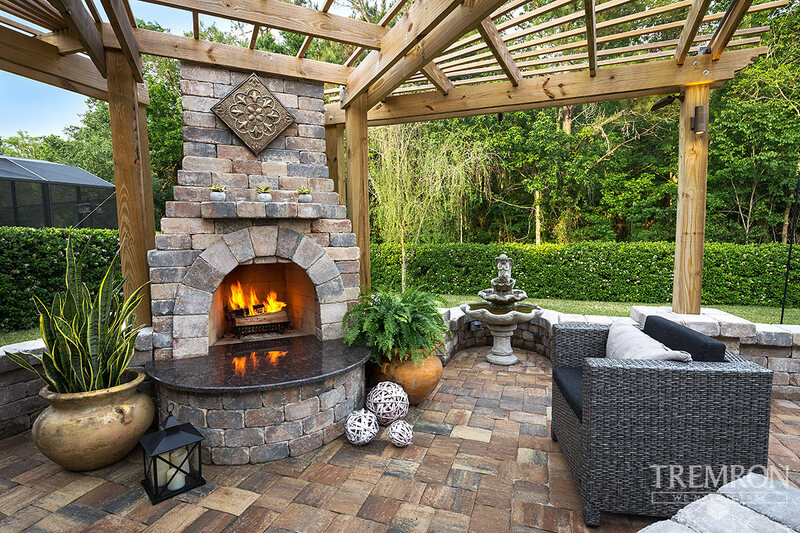 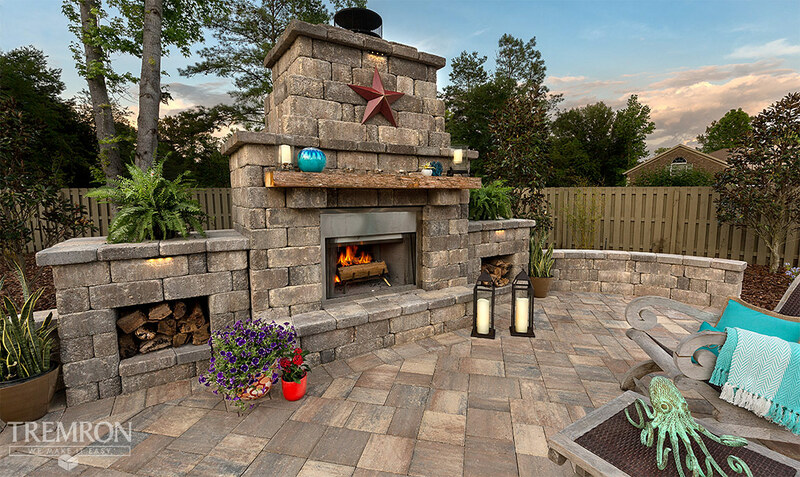 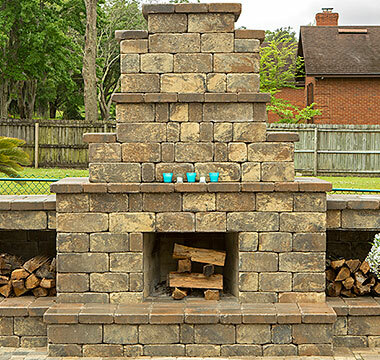 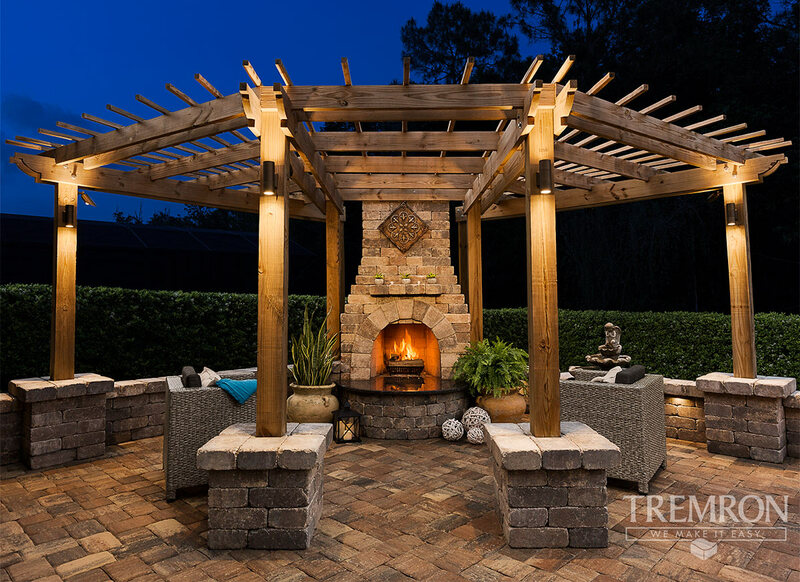 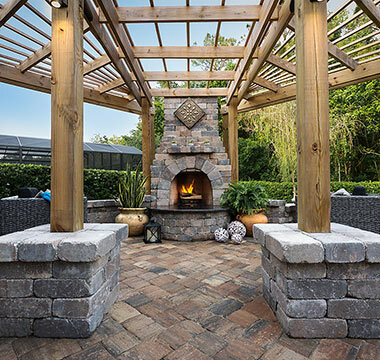 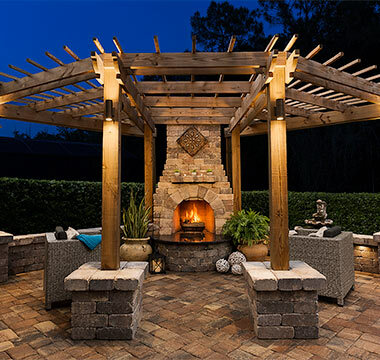 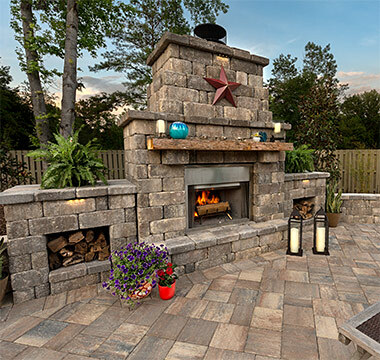 Seamlessly integrate a custom fireplace into your backyard hardscape design using Stonegate or Munich wall blocks; transforming your backyard dreams into a beautiful reality.